Aroma: Woody, gentle, mildly spicy. Energetic Properties: Earthy, noble, masculine. Aromatherapy Properties: A colorless or pale yellow liquid with a sweet, balsamic, 'pencil-wood' scent. It blends well with patchouli, spruce, vetiver, pine and leather-type scents. 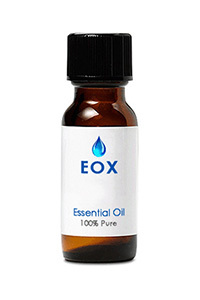 One of the oldest aromatics known from the famous 'Cedars of Lebanon.' The oil can be added to sachets placed in areas where clothing is stored to drive away insects that like to eat cotton and wool, or to revitalize older cedar chests that have dissipated their scent over time. Spiritual Uses: Often used in charms to attract increased wealth, Cedar is sometimes also associated with sexuality and love. It is particularly useful in creating grounding and cleansing negative energies. Blends well with: A versatile oil, Cedarwood may be blended with Frankincense for a meditative scent, with Eucalyptus and Patchouli for an exotic, uplifting scent, or with Chamomile and/or Jasmine for a relaxing, sensual scent. History: Perhaps one of the first oils to be extracted from a plant, Cedar oil was used as a base for paints by the ancient Sumerians. It was used by the ancient Egyptians, both as a cleansing agent, and as part of mummification. It has been used by Native Americans as an insect repellent, and cedar leaves are burned as part of rituals - it is said that the smoke carries prayers to the Great Spirit.